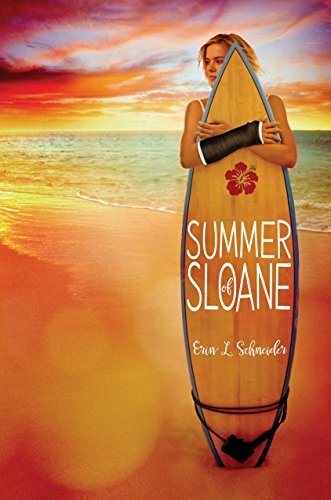 According to Anna’s best friend, Frankie, twenty days in Zanzibar Bay is the perfect opportunity to have a summer fling, and if they meet one boy every day, there’s a pretty good chance Anna will find her first summer romance. Anna lightheartedly agrees to the game, but there’s something she hasn’t told Frankie – she’s already had her romance, and it was with Frankie’s older brother, Matt, just before his tragic death one year ago. "Weeping is different from crying. It takes your whole body to weep, and when it's over, you feel like you don't have any bones left to hold you up." Two sentences early on in the book (page 28), that completely set the tone for the entire journey. And what a beautiful journey it was - one that will resonate especially for those that have loved and lost, no matter what age. TWENTY BOY SUMMER was poetically written, ebbing and flowing with all the emotions of love, grief, friendship and life. "When someone you love dies, people ask you how you're doing, but they don't really want to know. They seek affirmation that you're okay, that you appreciate their concern, that life goes on and so can they. Secretly they wonder when the statue of limitations on asking expires (it's three months, by the way. Written or unwritten, that's about all the time it takes for people to forget the one thing that you never will)." A wonderfully written passage of life, TWENTY BOY SUMMER is one that will stay with me for a very long time. If I had to come up with any critique, the only thing I can manage, is that maybe it slowed down in a few places - and that's stretching to come up with something. Every page was completely relatable, funny at just the right moments, and overall, a wonderful journey to have experienced. Well done, Ms. Ockler. I'm very much looking forward to reading her next book, FIXING DELILAH; stay tuned for my review.